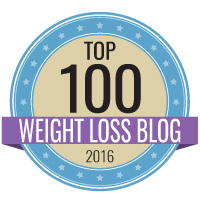 I remembered I had reduced sugar dried cranberries and a green apple at home, so I was set! But what could I pair this lovely cole slaw with?? 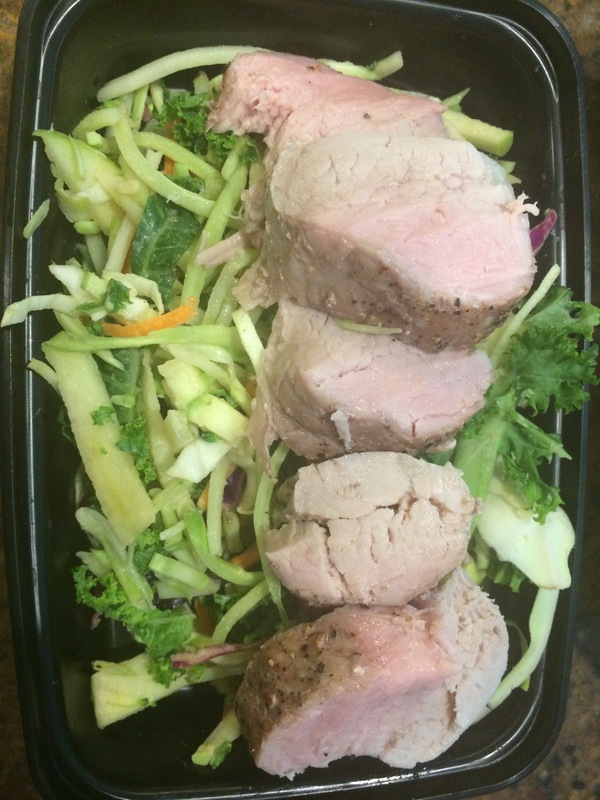 Cranberry, apples….. PORK. 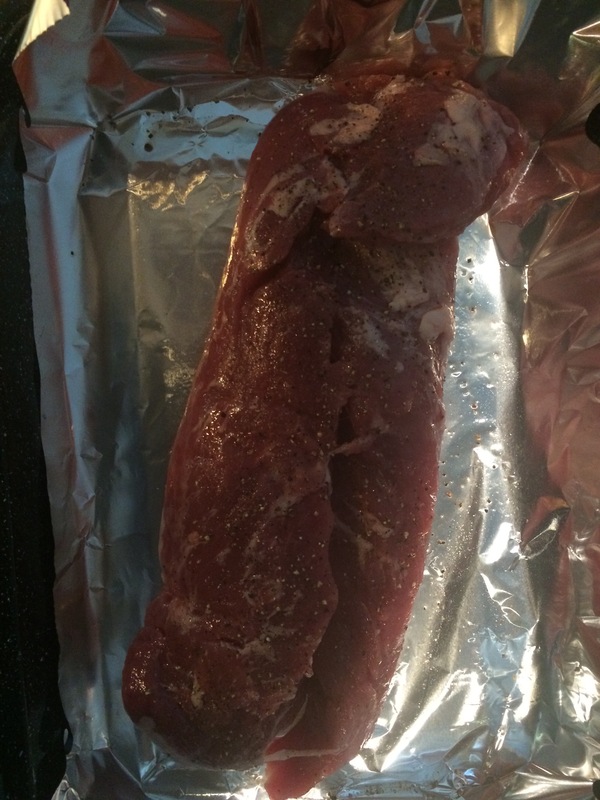 I chose a pork tenderloin , the leanest cut of pork available at the store I was shopping at. Per 112grams/4 ounces: 120 calories 2.5 fat 0 carb 23 protein. Not too shabby! preheat oven to 425F, season pork with salt and pepper. Bake in oven for 19-25 minutes depending on size and thickness. Internal temperature 145-160F. Pork Internal Temperature Guide Allow to rest/cool when finished cooking. 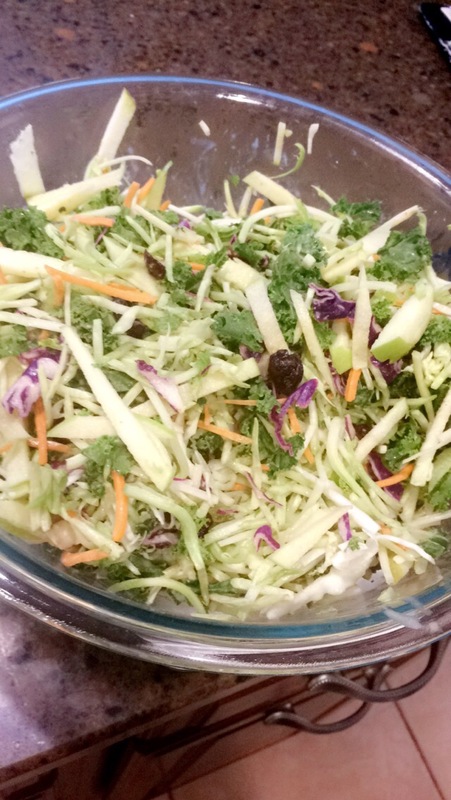 I began by simply placing the 2 packages of shredded vegetables into a large bowl. I added the 1/2 cup of dried cranberries to this. 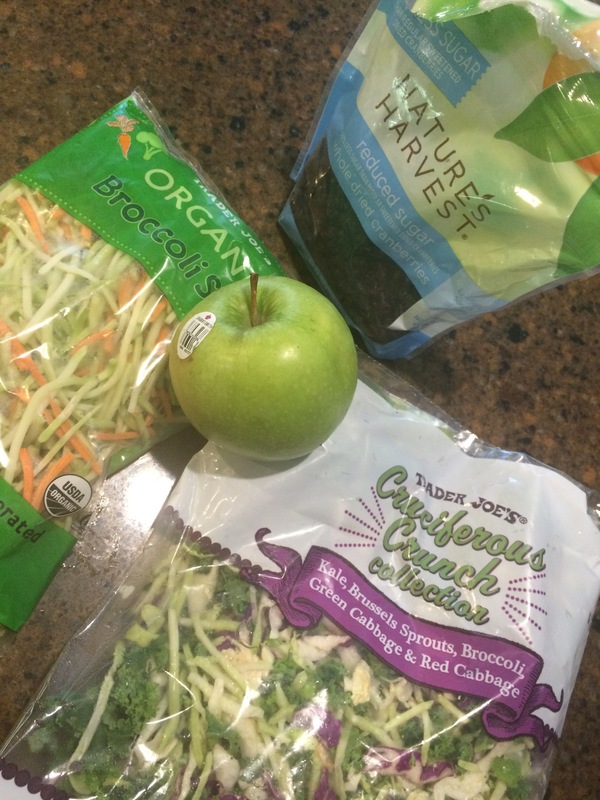 I sliced my granny smith apple into thin strips, attempting to match the appearance of the broccoli slaw. Once finished, I added the apples to the vegetable and cranberry mixture. Gave this mixture a big toss with my hands. Then I got to making the dressing. 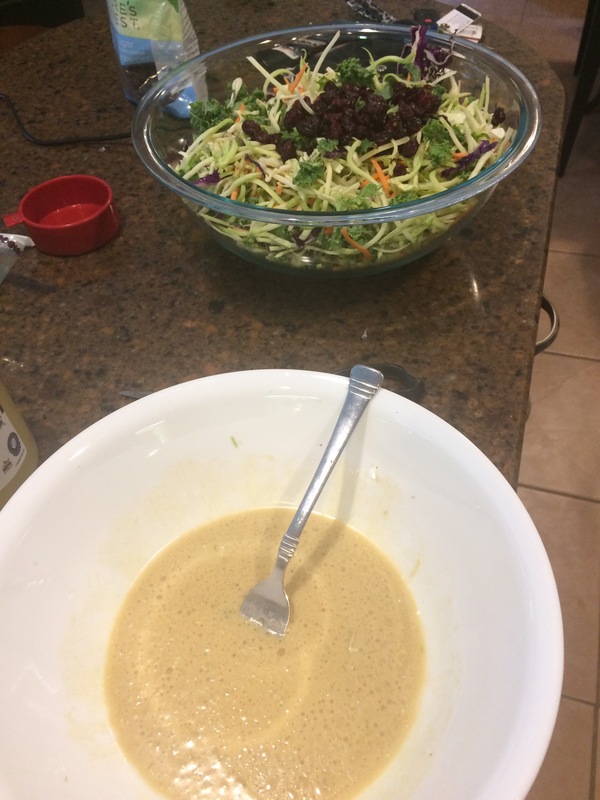 I made this in a separate bowl so I could blend it together and taste it before coating the slaw. 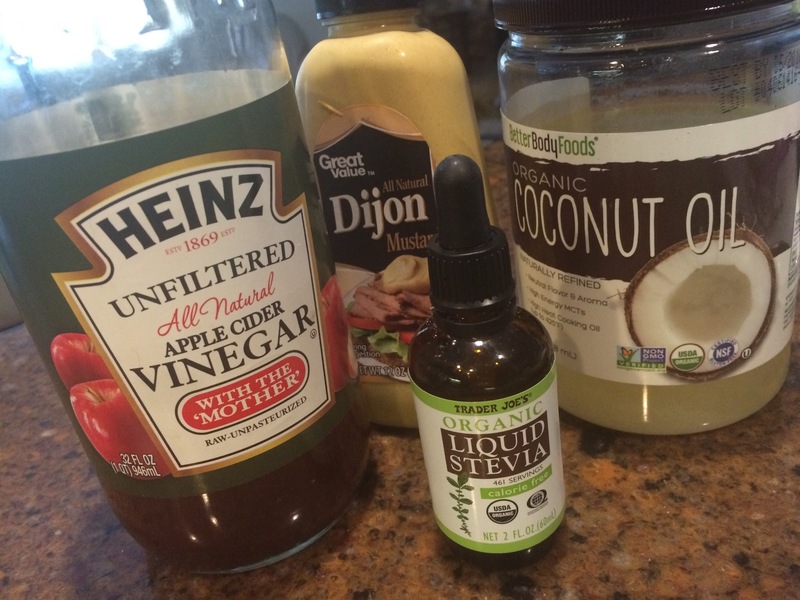 I added 2/3 cup apple cider vinegar, 1 tbs dijon mustard, 2 tablespoons coconut oil, and 6-8 drops of liquid stevia. I whisked the dressing together in the separate bowl. Once finished, I tasted it to be sure the sweetness was there , but not over powering, and added it into my cole slaw. I mixed it all together with my hands. 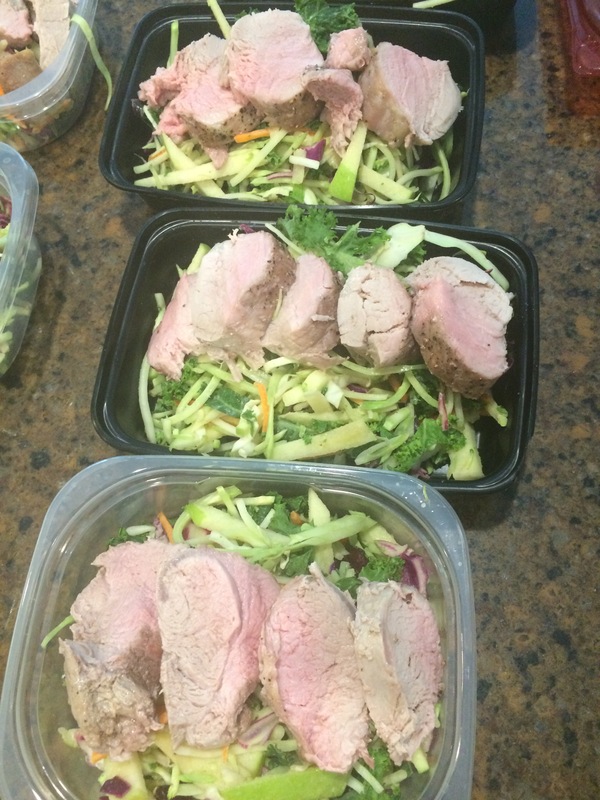 Topped each portion of slaw with 4 ounces of pork tenderloin for this weeks meal prep!